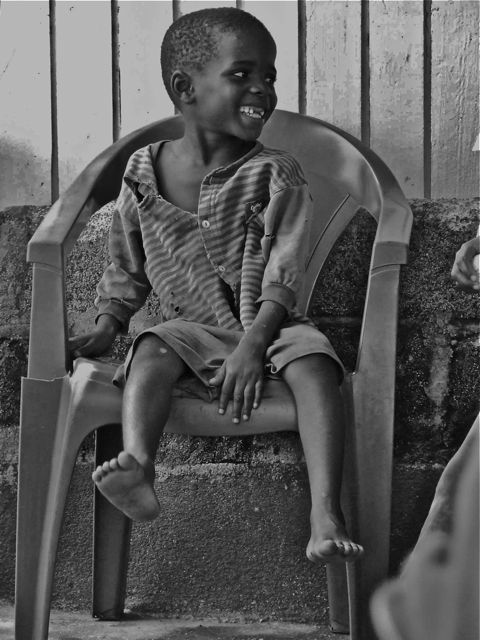 personally I think that the BG is well chosen and this child sitting on a chair is great object to take some images of. But I do not like that arm (I think is part of an arm) in the FG. It doesn't fit in the image.